This is a fully automatic detector, and zero motion targeting function for precisely locate a target. 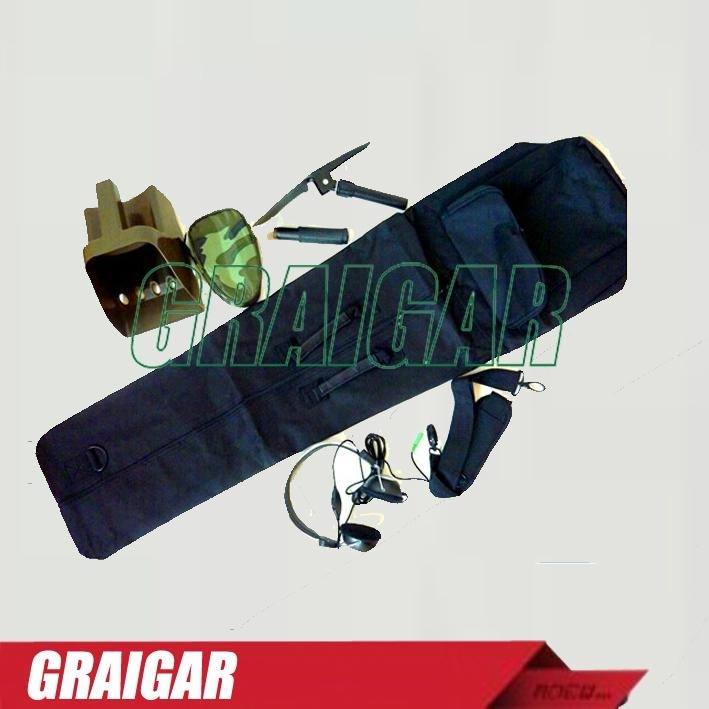 The metal detector is intended for finding of black, color metals, (including gilded and nuggets), based in soil at depth up to 200 cm (for big objects), also possibility of searching in water at depth up to 40 cm to (submersion of metal detector). The instrument has a Pinpoint system for discovering purposes. Motion Detector, Auto turning soil, Level to discriminations, Built-in speaker, Output on earphones. 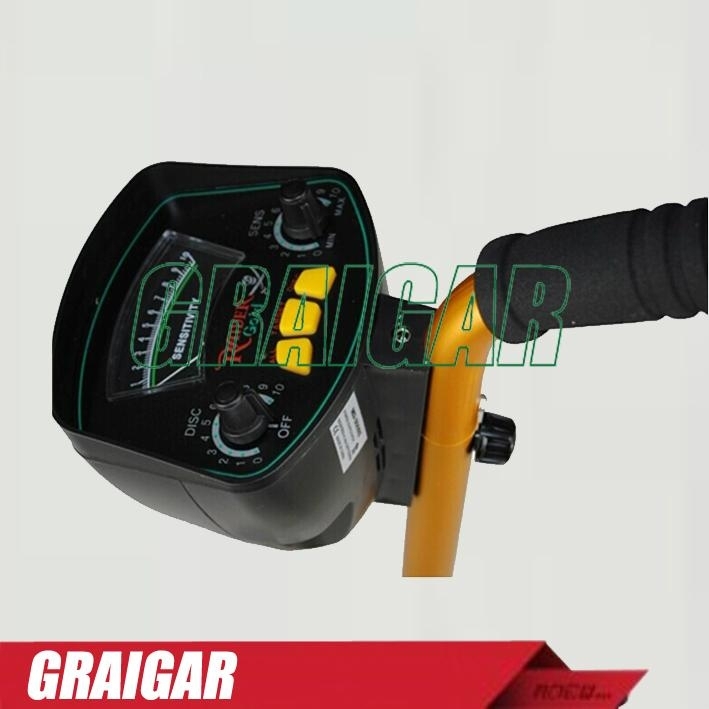 This metal detector comprises of itself all comforts of adjustment, when including a feeding, you get immediately, tuned instrument, stays to adjust only discrimination. < Fully automatic - a - turn - on - and - go - detector. < Zero Motion Targeting Function for - for precisely locate a target. < View Meter - Can be used in a noisy area, where it is difficult to hear. < All Metal - push-key switch made of metal and metal identifying switch. These two parts particularly provides more convenience to the user. < No Clumsy Slack Cable - hidden search coil cable (connecting between control unit and search coil) avoid entangling and for ease of stem length adjustment. < Low Battery Alarm - automatic audio alarm and red power spot efficiently remind the user to change the battery in time. < Headphone Jack - provided for headphone connection. Both stereo or mono headphone can be used. < Waterproof Search Coil - lets you use the detector in the shallow water. < Adjustable Stem - lets you adjust the detector's length for comfortable use. The micro-plug that connects the search coil and the controller unit is made of metal which makes the plug more reliable. < Armrest & stem - designed to eliminate strain on forearm. The nylon bracket to further secure the slip of the hand compartment after long time holding the detector by arm. < Power - Use six 1.5-volt AA alkaline batteries. The built in insolating circuit helps avoid wrong battery connection and prolong the battery life.